Is Ad Blocking Shifting Publishers Towards Subscription Services? These days most of the world is online. From email and video calling to content streaming and grocery shopping, the capabilities of the web are almost endless, which means fighting for the attention of consumers can be tough. Once upon a time, carefully positioned adverts displayed on relevant web pages were a great means of driving traffic, brand awareness and revenue, but in recent times things have changed. How big is ad blocking? And where is it most common? 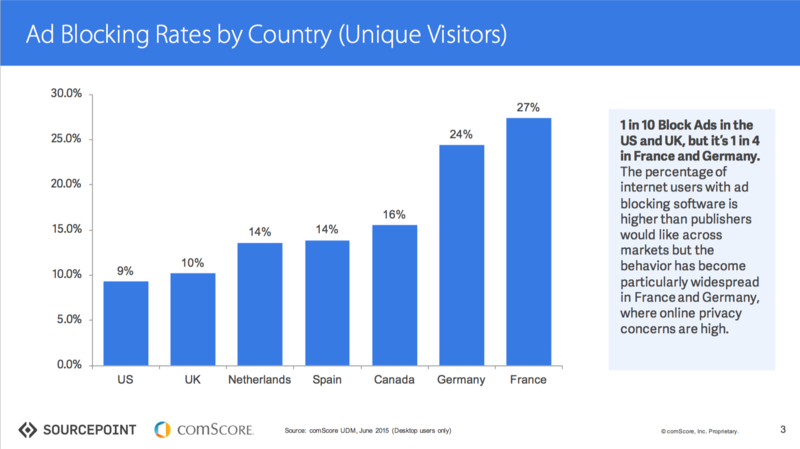 From the chart bellow we can conclude that ad blocking is happening mostly in the most developed countries in Europe and North America, where the population has high concern about online privacy. France and Germany are the countries with the biggest usage of ad blocking software, with 27 percent and 23 percent respectively. For video publishers that rely on advertising as their core revenue model, this can be a bad signal since these regions have embraced cord-cutting and over the top services for video consumption. For example, this week YouTube announced YouTube Red – an ad-free subscription service which costs $9.99 per month. Not only will subscribers benefit from ad-free content, they will also be able to download videos to watch offline. Not so long ago, Hulu’s pay service offered a new ad-free option for $11.99 per month. Netflix, which has based his business model on ad-free, also recently announced a rise in its most popular plan to $9.99 per month. 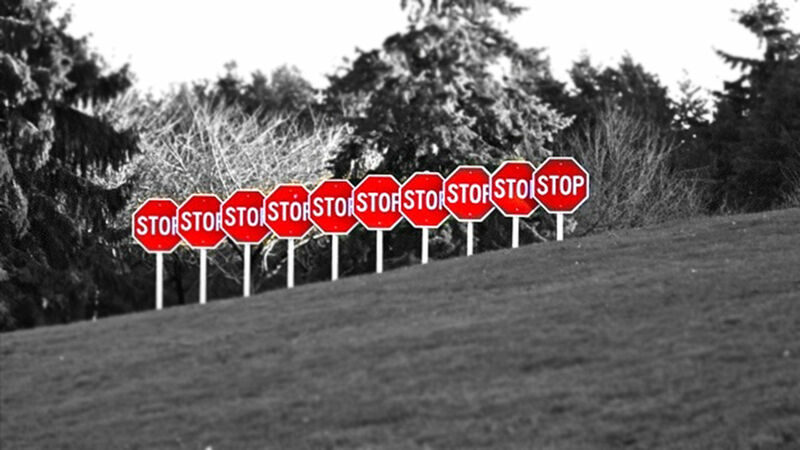 For OTT providers in particular, a little thing called ad blocking is causing a major headache. According to Fierce Online Video, it’s worth an astonishing $22 billion, and it will grow to a additional $20 billion in 2016. By making video ad banners disappear from web browsers, ad blocking allows consumers to surf the web and enjoy video content without ads bogging down computer processing speeds – and of course, most people find this very favourable. As ad blocking has provided a major hurdle in monetising content, OTT providers are now taking other measures to sell their services. In order to draw in more revenue, many of the top OTT providers have decided to raise their subscription fees in return for ad-free content. In addition to this, there has also been more of a focus on offering consumers exclusive content that they can’t enjoy anywhere else; this has proved very effective in yielding subscribers who are willing to pay a premium to enjoy their services. Of course, a lack of adverts means that each and every OTT provider has taken a financial hit – banner advertising is a lucrative revenue stream and in order to make money from their content while offering an ad-free service, subscription prices have to be raised. And on the other hand, end-users didn’t react negatively on those news. The general perception is that consumers are willing to pay more for ad-free video and that trend will continue. Much like the web itself, video streaming services are ever evolving and in order to keep up with the times OTT providers have to creative. Tweaks and improvements to OTT services are absolutely essential when it comes to offering consumers the best user experience possible, so it seems that increases in subscription costs are inevitable. Some publishers are looking for the right balance and some are looking at new, innovative models. However, when you think about it, consumers don’t mind paying $10 for a top notch entertainment isn’t so bad, especially when you can watch a nail biting, exclusive action-drama for the price of a few cheeseburgers.